I hereby declare war on my closet. Whenever I get dressed, I tend to evaluate the individual pieces to see if they’re really something to keep. Yet I seem to only wear half of my wardrobe on a regular basis. I must admit, I have a huge wardrobe. Despite having bought almost nothing the past 2-3 years, I own countless pieces of clothes, shoes and accessories such as bags, jewelry and scarves. The average woman probably has a big selection, but I would assume that mine is larger than average. At the moment it just doesn’t seem that big. Why? Because I’ve been moving between countries and left a lot of clothes boxed up in the garage of my family home (I’m so sorry, mom!). So I probably have around half of my clothes with me now. Why shop (when your don’t even wear it afterwards)? During my student years shopping was like a full-time hobby. I shopped because it was fun and somehow I had the money for it as well. One of my best friends was also big on shopping and we would enthusiastically discuss the latest additions to our wardrobes. I would shop because I could, because I was fortunate enough to be able to do so spontaneously. Ah, the wonderful ecstasy of the purchase. I’d treat myself to a lovely new cocktail dress or new shoes any day of the week. Yes, treat yourself. A wonderful phrase if you treat yourself to something that actually brings value to your life. Two dangerous words often in advertising – we see the methods typically used in ads and women’s magazines. After all, you deserve to look good. You can buy whatever you want because you are worth it. Sometimes you get the feeling that you should, just to prove that you are an independent woman. There are probably more complicated reasons for why we go shopping as well, but I will leave this topic for now. So here I am, having spent thousands throughout the years on stuff I never use. A couple of years ago I stopped shopping as a hobby. I grew sick of it. And poor. Now, if I feel like I need something, I will consider buying it. This has resulted in that I have bought just a few pieces of clothing and shoes that I actually wear on a daily or weekly basis. 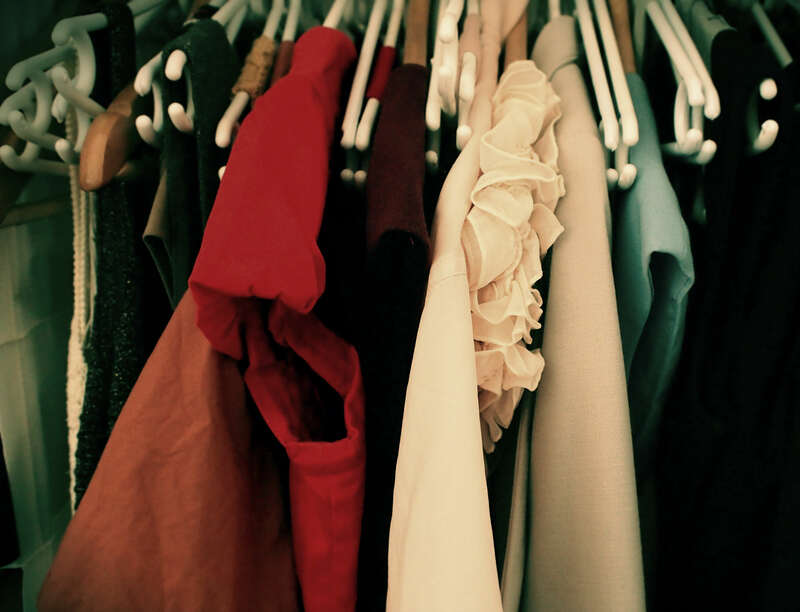 However, I see that I need to take charge and go through my whole wardrobe if anything’s going to change there – why keep lots of things you never use? Does it make me feel comfortable, both physically and appearance wise? If you haven’t worn something in more than 6 months or a year, you probably won’t the coming 6 months either. If your high heels kill your feet after 30 minutes of wear, using them at all probably isn’t worth the suffering. I’m sure you’re worth more than that. So for each piece you get rid of, create piles to throw away, donate or to sell. You can also create your own rules to help you decide, this is just a starting point. I’m sure I will elaborate on mine as well. So please stay tuned for updates. If you start your own project, I wish you all the best!